Randi Zuckerberg, author of Dot Complicated: Untangling Our Wired Lives, is the perfect example of a modern, independent woman we should all look up to. Not only is she wildly successful, but even through her own ups and downs, she's remained poised and dealt with whatever life's thrown at her with strength and dignity. After graduating with a degree in Psychology from Harvard University, where she often hung out with her brother, Mark Zuckerberg, Randi started working as a production assistant in New York before being recruited by Mark to join Facebook as a marketing manager. She eventually left the company in 2011 and started up her own social media firm, Zuckerberg Media, and lifestyle website, Dot Complicated. Zuckerberg's book — which is part memoir, part social media guide — offers a comprehensive understanding of technology and its impact on lives, businesses, and relationships. What better person to learn about this from than the queen of social media herself, amirite?! Not only is she a marketing and social media goddess, but Zuckerberg is the epitome of an admirable woman. She's submerged herself in the tech world for a long time now, which is KNOWN to have been dominated by men for decades, proving that women are equally willing and capable of exceeding in the industry. “This is a new world we live in, and it should be possible for a woman to be taken seriously and still do what she loves,” said Zuckerberg in a 2011 article from the New York Times. 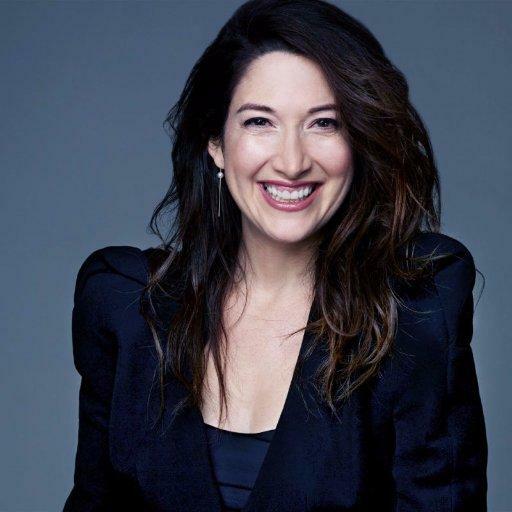 If you don't already know and follow Randi Zuckerberg on her own social media channels or on her SiriusXM radio show, Dot Complicated with Randi Zuckerberg, then you need to get on it. But first, take a peek at some of the things she regularly talks about below to see what I'm talking about. She's pretty freaking cool. On our addiction to technology. On knowing when to ask for help. On standing up for what's right. On making a real difference. On how to be successful.